The Chicago Cubs just won the World Series – a 108-year streak without this feat. 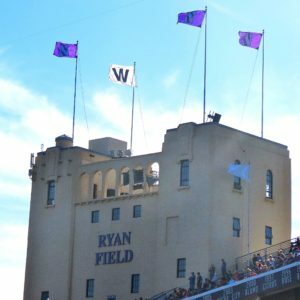 Ryan Field celebrated by flying the W atop the towers rising over the upper deck. 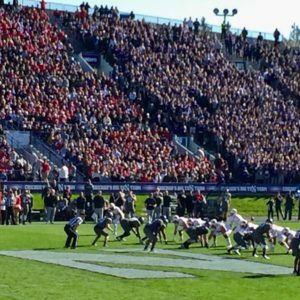 The NU band played “Go Cubs Go” to an all-crowd sing along. Breaking streaks like this are always cause for major celebration. Another streak was on the line as well. 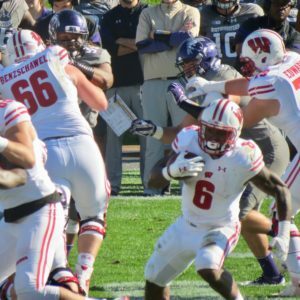 It’s not quite 108 years of suffering, but the Badgers have not experienced success in Evanston since 1999. 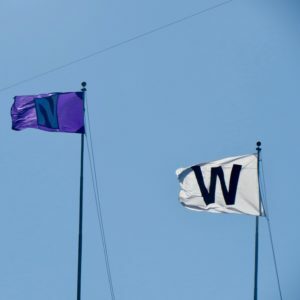 Today, that W flag would also stand for Wisconsin. 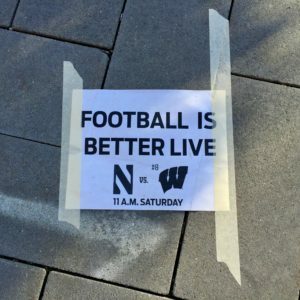 Northwestern’s season started off like hell. 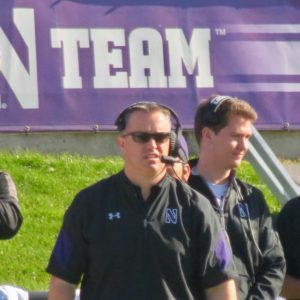 They endured two losses – a one-point demoralization against Western Michigan, and a two-point humiliation against Illinois State. 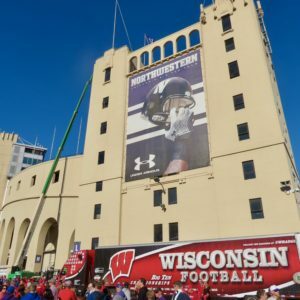 Since then, the Wildcats have improved, but they would be facing a Wisconsin team looking to barrel through November on their way to the Big Ten championship game. 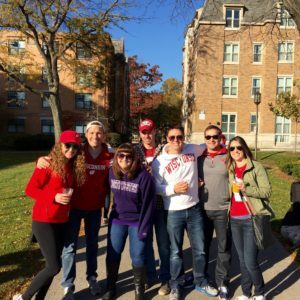 It was one of those battles in which the game was close on the scoreboard, but Wisconsin was dominating on the field. 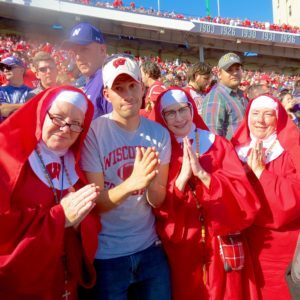 Even with the Badgers leading only 13-7 at the onset of the 4th quarter, there was a sense that Sconnie had control. 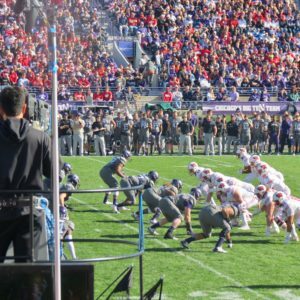 The stadium was a swirl of Badger red and Wildcat purple. 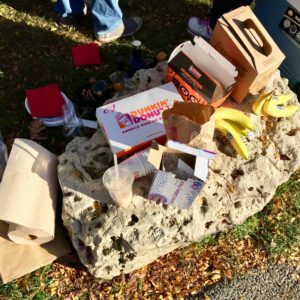 We had started our day along the lakefront tailgating amongst a similar ratio of colors. 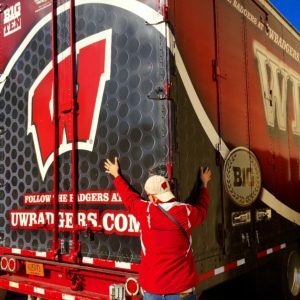 It was a breakfast tailgate – parking lots along the lake fill up fast. We were late, so we wound up eating donuts on a rock. It was perfect. Ultimately, Wisconsin sealed the deal with one more score winning 21-7, thus breaking the 17-year streak. We will be flying two W flags outside our house this week. Who needs a table? or car?